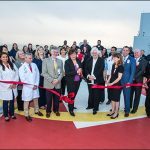 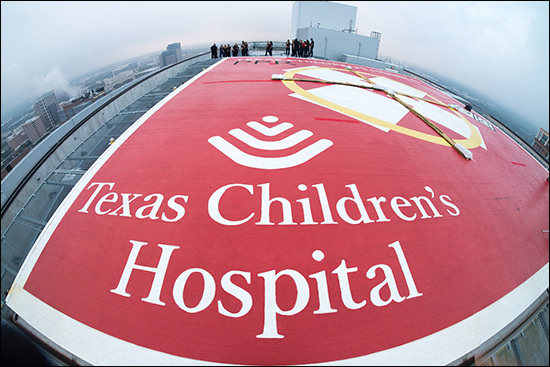 Early on the morning of November 7, an excited group including Texas Children’s Hospital clinical leadership, executives and members of the Kangaroo Crew and Mission Control teams gathered on the roof of Lester and Sue Smith Legacy Tower for a special ribbon cutting ceremony marking the opening of our new helistop. 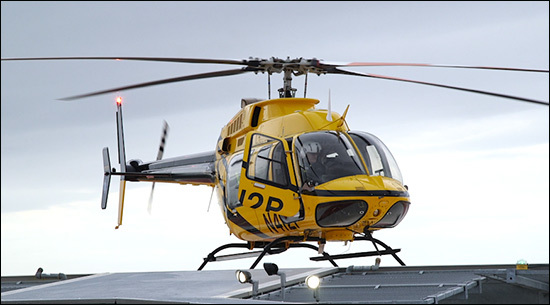 Watch the video or view the photo gallery below. 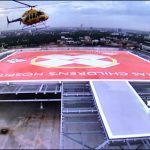 The helistop is the final element of Smith Legacy Tower to go live and represents the culmination of a major expansion at our Texas Medical Center campus. 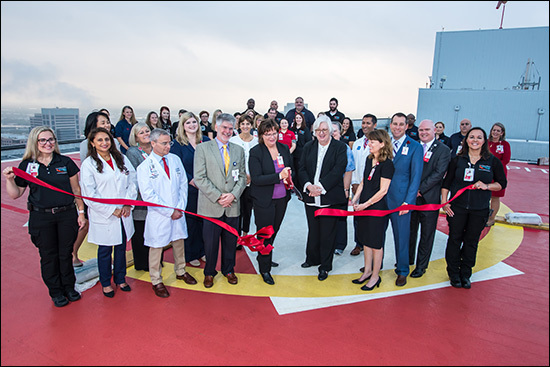 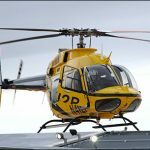 Months of planning and multidisciplinary cooperation between medical staff, Transport Services and engineering and facilities teams went into preparations for the helistop opening. 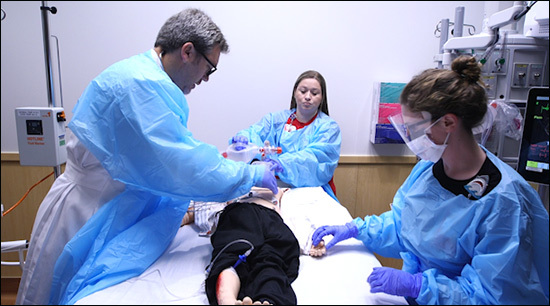 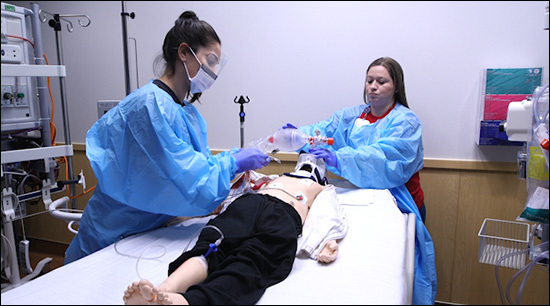 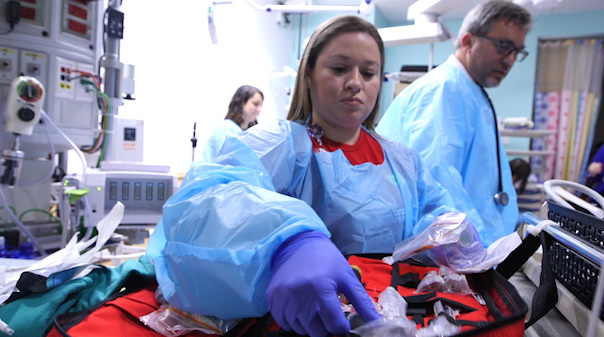 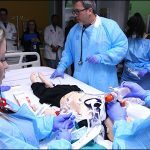 Extensive simulation exercises were also held to prepare care and transport teams for potential eventualities they may face, as well as to analyze and improve processes. 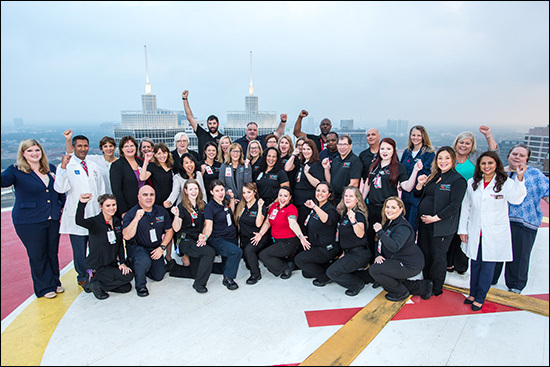 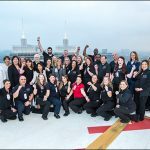 This included helicopter landings, transferring patients from the helicopter crew to Texas Children’s transport teams, and moving patients from the helistop at Smith Legacy Tower to Trauma and the Emergency Center. 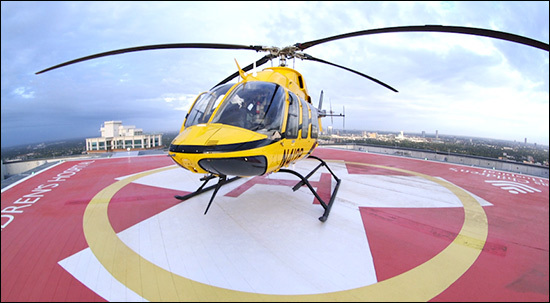 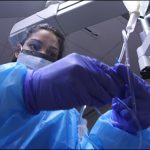 The helistop at Smith Legacy Tower is the third helistop in the Texas Children’s system, with others in operation at West Campus and Texas Children’s Hospital The Woodlands. 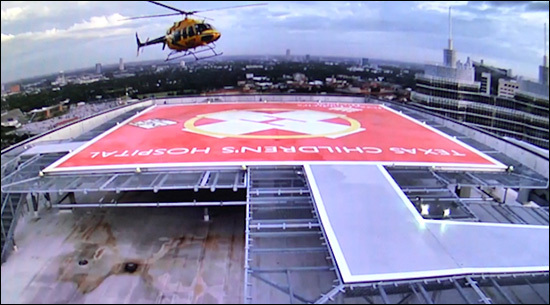 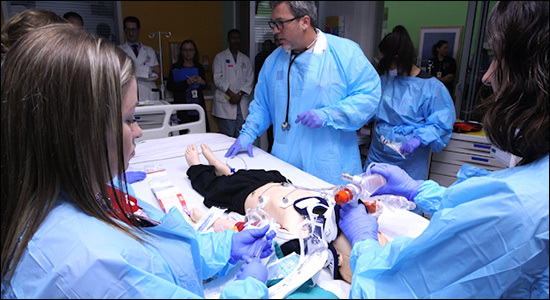 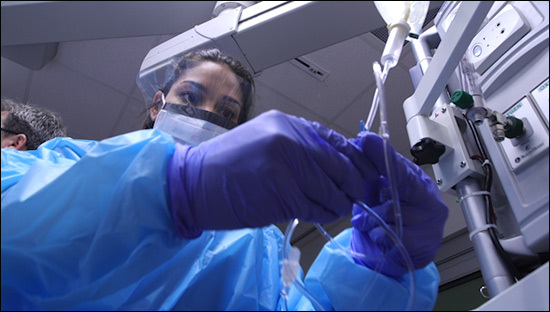 The addition of the new helistop will facilitate the rapid transport of patients across all populations, including neonatal and maternal patients. 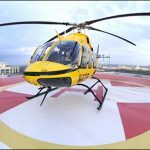 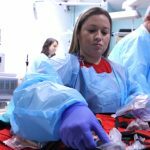 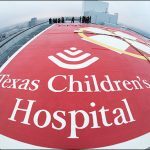 Before the helistop opening, Texas Children’s received roughly 150 helicopter transports a year, which landed at nearby partner institutions. 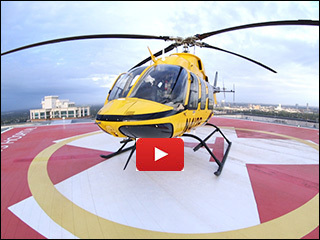 Now with our own helistop, we’ll be able to offer our care to even more patients who need us.